While there have been many improvements around securing containers, there is still a large gap in monitoring the behavior of containers in production and taking action on any abnormal behavior. That’s why we created Sysdig Falco, the open source behavioral activity monitor for containerized environments. -How does behavioral security differ from existing security solutions like image scanning? -How to build and customize rules. -How to extend with alerting options. 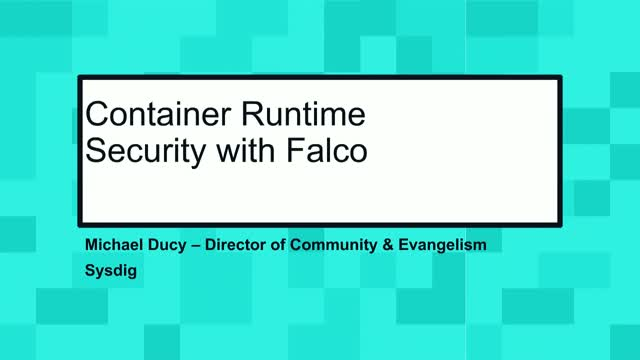 If you're managing containers in production, or just beginning our container exploration, you'll want to attend to understand the security paradigms of containers and how to secure them.